I personally Know quite a lot about Scoliosis, and not just because I am a Chiropractor, but also because I have it! 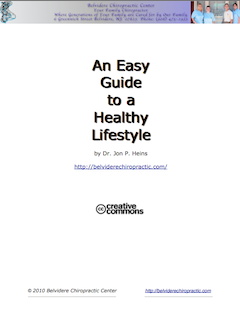 If you read my Meet Dr. Jon P. Heins Page under the About Page, I mention that when I was four years old I started to get headaches a couple times a week. My father took me to his Chiropractor, since he had such a Great Experience with the treatment for His Chronic Lower Back Pain that developed from an older injury (when he got knocked off of a Freight Train Car while welding something on it by another Car Hooking up to it and Broke his Back), and Chronic Neck Pain (from a Skiing Accident). On my first visit, since I had a Family History of the Condition, and after a Posture Screening showed an irregularity, the Doctor took some X-Rays and it was found that I had Scoliosis. This First Part, Will Define What Scoliosis is. 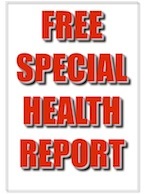 The Second Part, Will Discuss What the Symptoms of Scoliosis are, and Will Be Posted Sometime Next Week. Followed by, The Third Part, That Will Discuss What You Can Do About Your Scoliosis, and Then the Final Fourth Part, That Will Discuss What the Treatment Options for Scoliosis are The Following Couple of Weeks After That. Your Spine has Normal Curves When You look at it from the sides; However, it Should Be Completely Straight When You look at it from Either the Front or Back. If there is a Curve When Looking at the Front or Back then You Have Scoliosis. It’s estimated that Scoliosis affects about 7 Million People in the United States, Which is approximately 2% to 3% of the U.S. Population. Most are diagnosed with Scoliosis between the ages of 10 and 15, but the Condition can also affect infants and adults. It affects People of All Races and All Social-Economical Classes. It is found in Both Sexes; However, Girls are 8 times More Likely than Boys to have Scoliosis. There are 4 Types of Scoliosis. The First 3 are Rare and are Defined briefly below, while the Last One is the Most Common Type (making up 80% of the cases) and is Further Divided into 3 Categories (based on at what age the curve develops) and since it is the Most Common Type it will be the Focus of the rest of this post Series. Congenital Scoliosis – is due to a failure of the normal formation of the bones of the spine. People with congenital scoliosis will develop a spinal curve in infancy. Neuromuscular Scoliosis – is due to muscular weakness or neurological disorder. 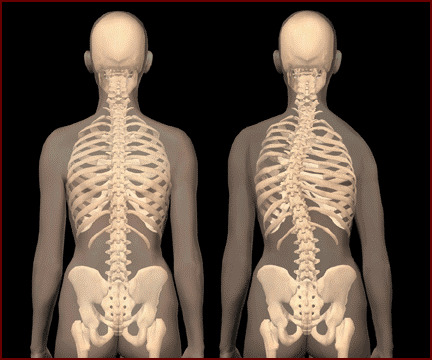 Degenerative or Adult Scoliosis – is due to degeneration or arthritis of the spine. a.	Infantile Scoliosis: Birth to 3 years old. b. Juvenile Scoliosis: 3 to 10 years old. c.	Adolescent Scoliosis: 10 years old to bone maturity. Next week I will discuss exactly What the Symptoms of Scoliosis are.